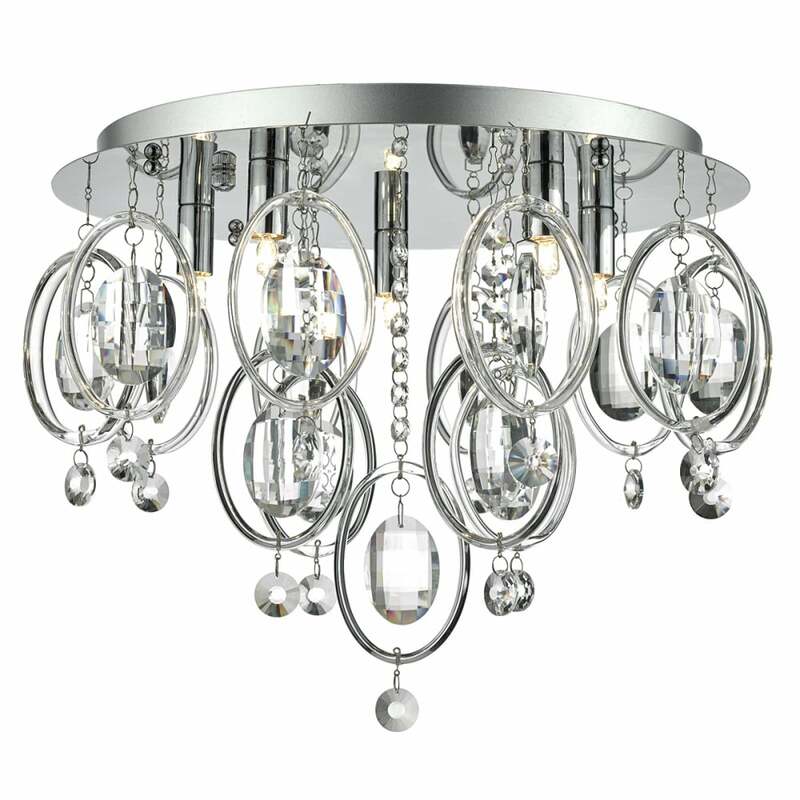 A decorative and modern design flush fit ceiling light in polished chrome with crystal droplets and glass hoops. The droplets and hoops catch the light and create a delicate sparkle that's great for lighting in a contemporary setting. The shallow depth of the fitting makes it ideal for those with low ceilings. Sure to add luxury style to any interior. This light is also suitable for use on a dimmer switch.